Peggy Lillis Foundation is building a nationwide CDI awareness movement by educating the public, empowering advocates and shaping policy, and we want you to join us. 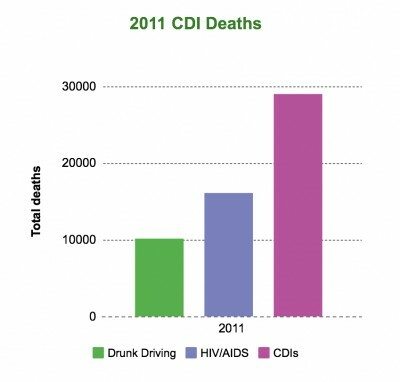 In 2011, CDIs killed more Americans than drunk driving or HIV/AIDS. There are a range of issues and activities that Advocates can choose to work on, from raising public awareness, participating in educational seminars for healthcare workers, lobbying to pass legislation to increase transparency and accountability, providing emotional support to current CDI sufferers and caregivers, and raise money and visibility for PLF. While Advocates may engage in all of these activities, they may also choose to focus on a particular area, depending on their interests, skill-set, and the amount of time they have to volunteer. To harness and catalyze the passion of Advocates, PLF provides a range of trainings, support and resources. Visit our For Advocates section to learn more. If you’re interested in joining PLF’s Advocates Council download the Advocates Council Volunteer Description. Click here to apply to Join PLF’s Advocates Council. Once you fill out a brief survey, someone from PLF will contact you.